The Grand National is the most popular jumps race tournament which is officially known as the Randox Health Grand National. In this jump ace tournament, 40 runners are challenged by the intimidating hindrances of Aintree’s 30 Grand National fences over the passage of four and a half miles. This year in 2019, the Aintree Racecourse is guessing more than 1, 50,000 racers over the three days, with the key event. It is the most popular tournament among the millions of people and many people across the country and the world will watch this tournament. The 2019 Grand National is going to be the 172nd annual running of the Grand National Horse race. The tournament will be held at Aintree Racecourse near Liverpool, England. The 2019 Grand National tournament is almost two months away from its opening day and is going to be held on Saturday, 6th April 2019. Randox Health as part of a contract sign up in 2016 is going to sponsor this year event in 2019. The contract was signed up for the company to sponsor the race for five years opening in 2017. As compared to the last year Grand National event, this year too, the event is going to start from 5:15 pm BST. 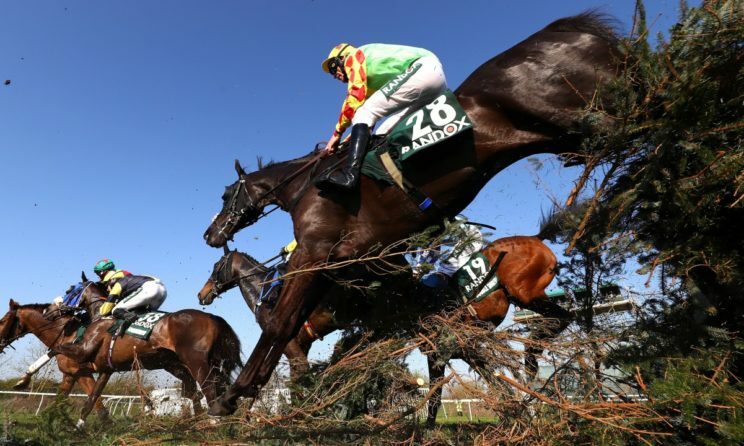 After winning the broadcasting rights to show this year racing event, the Grand National 2019 is going to broadcast on ITV TV Channel for the third time this year. There are going to be 40 runners participating in this year 2019 Grand National event and the final field of 40 runners is not yet to be selected. The final names of the selected runners in this year event will not be confirmed until a few days before the race. The British Horse Racing Authority Head of Handicapping is going to assign the weight for all the hoses that are going to participate in the event this year in February. The handicap system is considered to construct as close a race as probable. The healthier horses carry the maximum weight but the outsiders carry the minimum weight. Every single horse has an official rating and this will mainly help in deciding the weight they carry. For this year event, the maximum weight is 11th 10lbs and the least weight is 10th. In February, when weights will get released, the horses will then be listed in downward order that is from the maximum weight to least. In the middle of this, the owners and trainers will have the opportunity to draw the entries if they are not happy with the weight assigned to their horses and also they can withdraw if they do not feel they are prepared to go for this course and distance. Before the opening event of 2019 Grand National, the ultimate field on the top 40 horses left behind will be accomplished along with four reserves on 4th April 2019, Thursday. As the final field has not yet selected so the bookmakers are presently proposing ‘Ante Post’ odds on probable entrants. Ante Post basically means any time earlier the field is confirmed. Also, if anyone has an Ante Post bet and their horse is afterward withdrawn, then they are not entitled to get their money back.